Ex-Ohio State and future pro football player Nick Bosa said he is a “big fan” of Donald Trump during a video interview with VIP TV host Kavita Channe. 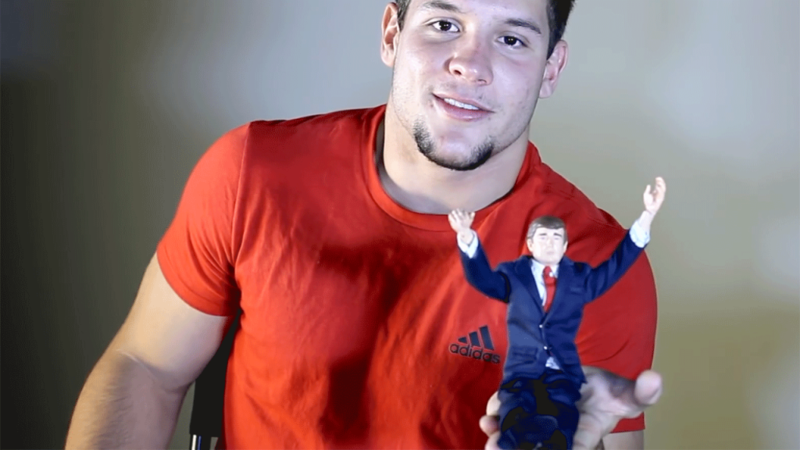 Nick Bosa is “Big Fan” of Donald Trump. Plays with Donald Trump doll. “He brings a charisma to the table that (sic) no other candidates I’ve seen in my lifetime. Why, “the chance I might end up in San Francisco,” was a reason to deny public support to the President of the United States was not made clear by Bosa in the article.